New Wednesday morning: WPP earnings beat expectations. Leading Wednesday morning’s news cycle: earthquake in Italy. At least three dozen people are dead and many more are missing after a 6.2-magnitude earthquake struck near Norcia early Wednesday morning local time. 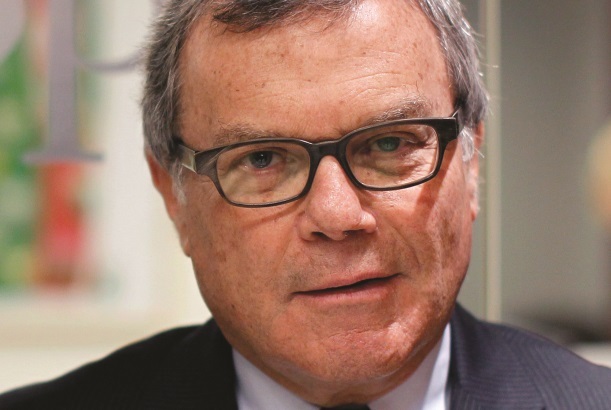 WPP earnings beat expectations. Revenue for the holding company’s PR and public affairs group was up 3% on a like-for-like basis compared with last year, and WPP as a whole beat analysts’ estimates. However, the owner of Burson-Marsteller, Cohn & Wolfe, Ogilvy Public Relations, and others is concerned about a post-Brexit recession in the U.K.
Tantaros suit puts Fox News PR in the spotlight. The lawsuit filed earlier this week by former network host Andrea Tantaros depicts its PR department as former chairman and CEO Roger Ailes’ own "dirty tricks operation." CNN’s Brian Stelter, the former editor of TVNewser, recalled that Fox News’ communications team used to plant unflattering stories about its own on-air talent on the blog. Cleveland Hustles debuts. The show, featuring NBA superstar LeBron James, will be a showcase for entrepreneurs who are also helping to revitalize the city. Its host is Bonin Bough, formerly of Mondelez and Weber Shandwick. The program will debut Wednesday night on CNBC. Another U.S. swimmer apologizes. James Feigen said he is sorry for his role in "serious distractions" during the Summer Games, specifically the embellished robbery at a Rio de Janeiro gas station nearly two weeks ago. Experts said Feigen’s teammate Ryan Lochte is unlikely to become an endorsement magnet again after his role in the incident. BuzzFeed splits in two. The company is dividing itself into news and entertainment units with the goal of bolstering its digital video operations, according to Vanity Fair. The entertainment group will include lists and listicles, long- and short-form video, and quizzes. On the campaign trail: Donald Trump is launching a full-fledged strategy to court minority voters as he sorts out his evolving immigration proposals. However, critics contend he isn’t actually campaigning in diverse areas. Hillary Clinton is preparing a speech set for Thursday that will link Trump to his alt-right supporters. Longtime Viacom PR chief exits. Carl Folta, who has worked at Viacom for more than two decades, has left the company amid its wider management upheaval. Former CEO Philippe Dauman exited Viacom last week after a long power struggle. Sanders political organization rolls out. Our Revolution, the political group created to take on economic inequality and other issues, is set to debut with a live-streamed announcement on Wednesday night. However, the organization has been plagued by staff defections, with eight employees quitting recently, according to The New York Times.